Master the tools in Adobe's Photoshop Elements 9, and take your image-editing skills to the next level! Bring out the best in your images! 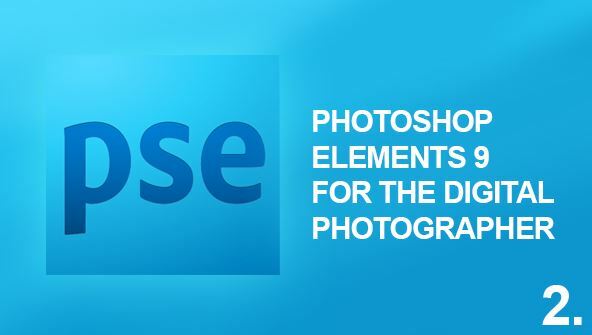 If you have a basic working knowledge of Adobe's Photoshop Elements 9, these lessons will help you take your skills to the next level. Gain ability and confidence as you master the features of this award-winning software, specifically designed for photo enthusiasts. Packed with hands-on activities and step-by-step instructions, this course will make you an accomplished user in just a few weeks. Adobe combines the power of their award-winning technology with the ease of use and quick results you want. You'll be amazed at how effectively you can use artistic filters, layering techniques, and advanced editing tools. Before long you'll be creating collages, turning images into text, and restoring old photos like a pro. Photoshop Elements 9 gives you room to grow while allowing you to create exciting effects right from the beginning. Because it offers you more features and tools than you'll find in simpler programs, it broadens the options available to you as an amateur photographer. With the techniques you'll learn here, you'll be able to edit your photos with ease, and you'll have the power to transform any shot from "okay" to "wow"! From the moment that you enrol in Photoshop Elements 9 Digital Photography II you will become an integral part of our learning community. You will experience the perks of classroom studies such as chatting by the water cooler or sharing your opinion on a specific task, all in your own home.